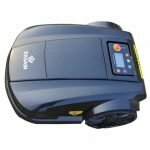 The garden and power tools made by Worth are known for their reliability and advanced technology, and the company’s mowers are no different. 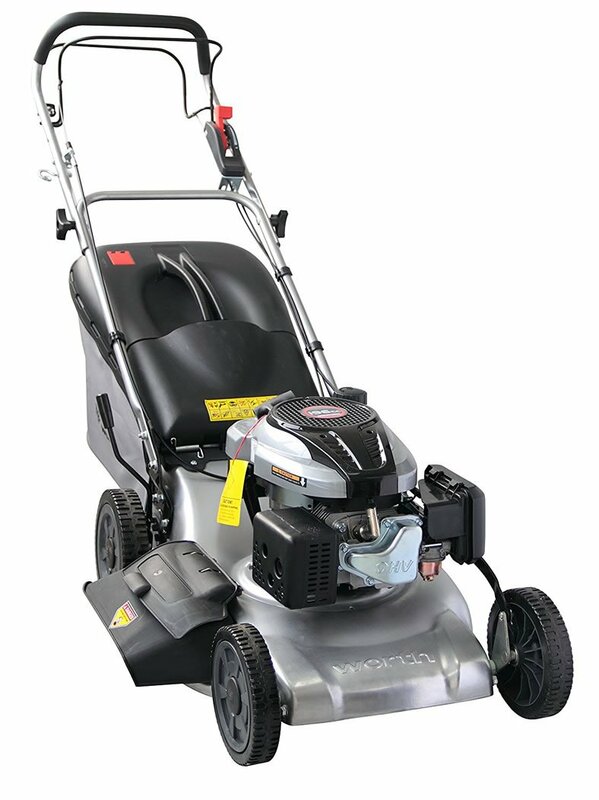 With its heavy-duty aluminum deck and high-end engine, this 3-in-1 gas-powered machine is sure to keep your grass looking pristine for years on end. In my opinion, this mower sells itself a bit short. 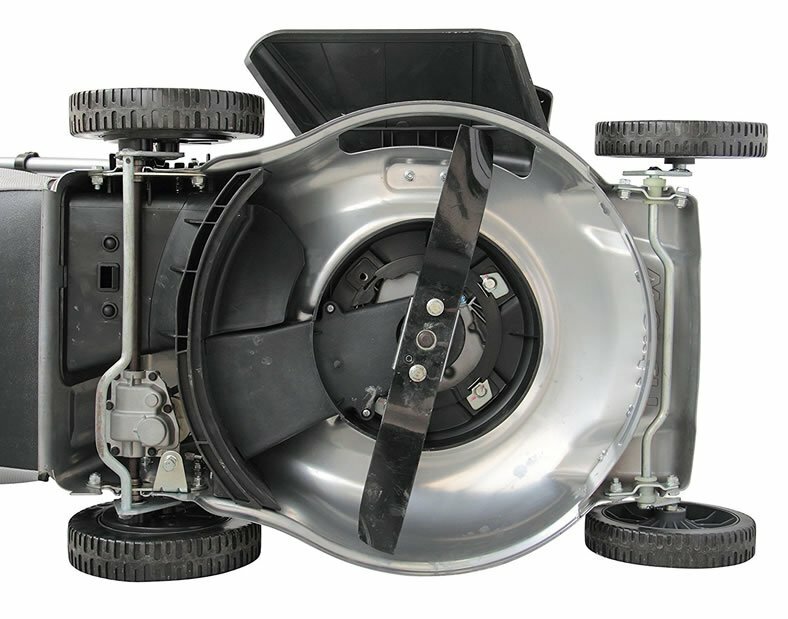 It comes advertised as a 3-in-1 mower that can mulch and discharge from the side and rear. Fair enough. But here’s the thing: You can also bag with the Worth mower. So wouldn’t that make it a 4-in-1 machine? The top-of-the-line 196cc motor is made by Loncin Motor Co., a company that also produces engines for outstanding motor bikes in Europe–so you know you’re in good hands with this motor. It’ll be a smooth and non-jerky self-propelled experience behind the Worth thanks to sturdy wheels that have double ball bearings. So even if the ground is a bit uneven, you won’t feel is too much behind the mower. The handle is comfortable and the varied cutting heights, adjustable with a single lever, will let you mow as conditions warrant. Lastly, the variable speeds of the mower are nice and generally never feel too fast or slow. Adjust as needed depending on terrain and overall conditions. One thing to note: This mower chops up twigs like they’re nothing. As for grass, it provides awesome fertilization through its mulching function, so be sure to take advantage of that. The Worth mower starts right up on the first pull, and it’s likely to do that for years on end. Once you’re gassed up, simply choose your self-propelled speed and engage the two levers on the handle to get moving. The grass bag attaches and detaches easily, and you even get a bonus one. This is a lightweight mower that’s self-propelled anyway, so obviously it’s one most anyone can use comfortably. It’s pretty lithe as it maneuvers around obstacles such as trees, gardens, sandboxes, and mailboxes. The high-carbon steel cutting blade makes mincemeat of even the toughest of grass and weeds. 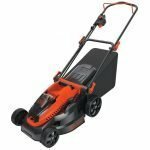 You could use this mower on a half-acre yard or on smaller property that has a delicate garden you don’t want to scar and ruffle. It really is a versatile and dependable machine. There’s a “cutting-edge” look to this mower, no pun intended. It’s self-propelled, has a high-quality motor, boasts a super-solid steel deck, and boasts a tough, long-lasting blade. A single lever will let you choose what cutting height you want, and this mower can mulch and discharge clippings from the rear or side. As for its cutting quality, the Worth delivers thanks to a 20-inch deck that cuts a wide path. The 4 millimeter-thick blade is outstanding, and you’ll see that as the clippings spread from either the rear or side, whatever you choose. Bagging is a great option as well, and the grass catcher is very easy to take on and off. Hopefully you’ll have your first grass bag for a long time to come, but if something happens to it, this mower comes with an extra one. On the one hand, this is a big-boy mower with some heavy-duty features. At the same time, it’s very accessible, easy to use, and easy to operate. It’s kind of an everyman’s mower that should appeal to many. Monitor and change the oil as required. The handles will engage and disengage both the blade and self-propulsion as needed. The normal side and rear chutes prevent debris from hitting operators or those standing nearby. See the owner’s manual for all safety features and ways to keep yourself and other safe when mowing. As noted in the intro, I feel this is a unique 4-in-1 mower since it mulches nicely, discharges from the side and rear, and is capable of bagging clippints. This self-propelled mower has a high-quality 196cc motor made by none other than Loncin Motor Co., which makes engines for motor bikes in Europe. It’s got an outstanding 20-inch steel deck that is built to last, as well as a high-carbon steel cutting blade that is 4 millimeters thick and cuts grass with a vengeance. An extra grass bag comes with the mower, which is very handy. 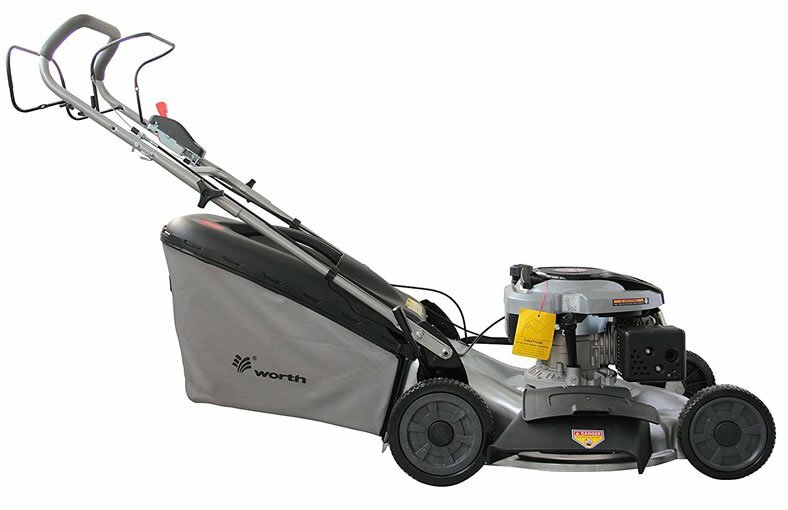 Overall, this is a lightweight mower that is self-propelled and easy to use. Those things alone make it pretty special. What’s most notable about this mower from a cost standpoint is its ability to discharge grass from two locations (front and rear), it’s capability of bagging, and the fact that it can also bag–and comes with an extra bag … such a nice touch. Though it does require gas, the 20-inch deck cuts a wide swath, so mowers shouldn’t have to make any extra passes with this reliable mower. Its durable wheels handle nicely on all terrain and shouldn’t break if you knock them against the stump of a tree over the years. If mulching is your thing, this mower can do it and save you money on fertilizing your yard. The bottom line is that this is a versatile mower that can adjust to the time of season and is built to last.